• She may be a stranger on our shores, but Fleur East is rather well known in the UK as the runner-up on last year’s edition of ‘The X Factor’. 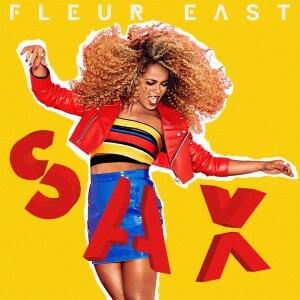 Now, in the wake of the show, she’s signed with Simon Cowell’s Syco label and is preparing to release her debut album ‘Love, Sax And Flashbacks’ on December 04. Lead single ‘Sax’ was serviced to Aussie media just yesterday. • Also rolling at media this week is a clever new song by a new house outfit called 99 Souls that blends Destiny’s Child’s ‘Girl’ with Brandy & Monica’s ‘The Boy Is Mine’. It delivers plenty of ’90s realness and already has both Pete Tong and Beyoncé herself among its fans. “The original ‘The Boy Is Mine’ is Brandy and Monica arguing and the Destiny’s Child song is from a woman’s perspective, we wanted to tell a story from a man’s perspective,” the band said in a statement. • That Aston Merrygold album we told you about during the week? It’s already been delayed. ‘Showstopper’ was due to drop on December 04, but it’s been pushed out to January 22, presumably so it doesn’t get totally engulfed in amongst the haze of pre-Christmas releases. • Good news for the handsome chaps from Rüfüs this week, with confirmation from their label that their debut album ‘Atlas’ has just hit platinum and that their recently-released single ‘You Were Right’ has smashed through the gold sales barrier. The news comes as anticipation builds ahead of the release of their new album ‘Bloom’, which Sweat It Out promises is “an unbelievably good sophomore album”. It’s due early in the new year. • Aussie favourite Kate Ceberano has confirmed that she’s started work on her landmark 25th album, the follow-up to 2013’s ‘Kensal Road’. • Brisbane native Charles Murdoch will drop his debut album ‘Point’ via Future Classic Records on December 11. The producer has roped in Oscar Key Sung for the album’s utterly beguiling second single ‘Privacy’, which appeared just yesterday. Listen HERE. • It’s hard to believe that Melbourne outfit The Bamboos have this year notched up an impressive decade and a half of existence, but they’re ready to mark the milestone later this month with their best-of album ‘The Best Of The Tru Thoughts Years’; the title alluding to their UK label from 2005 to 2012. The 13 track release is due at retail on Friday November 27. 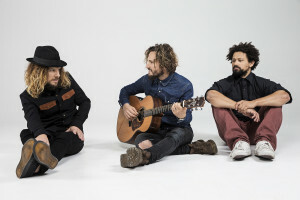 • Plenty of tour news for fans of John Butler Trio this week; they’ve sold out their second and final show as part of Sydney’s Twilight At Taronga series, announced a second and final show (on February 07) as part of the Melbourne Zoo Twilight series, will play alongside Missy Higgins and The Waifs at a special one-off show at Brisbane’s Riverstage on January 31 and confirmed summer shows in Western Australia. Catch them at Belvoir Amphitheatre on January 22, Leeuwin Estate in Margaret River on January 23 and Quindanning Inn on January 24. • Sydney’s Electric Gardens Festival just keeps getting bigger, with the addition this week of three more artists to the bill. Now set to play alongside Fatboy Slim, John Digweed, Hernan Cattaneo etc are Nic Fanciulli, Pachanga Boys and Stacey Pullen. Electric Gardens takes over Centennial Park from midday on Saturday January 23. • Sydney artist Deutsch Duke will play a free one-off show in his hometown in the middle of the month. Catch him live on stage at GoodGod Small Club in Liverpool Street on November 19. • It’s all steady at the top of this week’s UK singles chart, as Adele holds firm with her all-conquering new single ‘Hello’. Justin Bieber maintains his No.2 heading with ‘Sorry’, while Sam Smith’s ‘Bond’ theme ‘Writing’s On The Wall’ edges higher to No.3 as a result of ‘Spectre’ arriving in UK cinemas. The only debut in the British top ten this week is from Ariana Grande, who pulls ‘Focus’ at No.10. 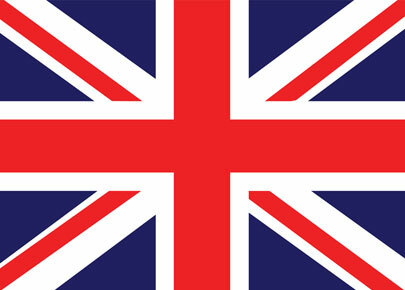 • The British singles chart top ten may be almost devoid of new entries this week, but the same thing can’t be said for the albums chart, with six new entries in the top ten, including new number one, two and three. It’s all about the crooners at Nos.1 and 2, with Elvis Presley’s ‘If I Can Dream’ edging out Rod Stewart’s ‘Another Country’ for pole position. Guy Garvey comes in at No.3 with ‘Courting The Squall’. The other three top ten debuts are also huddled together – in positions seven, eight and nine; James Morrison’s ‘Higher Than Here’, Jack Pack’s ‘Jack Pack’ and Erasure’s ‘Always : The Very Best Of Erasure’ respectively. Not brilliant news for 5 Seconds Of Summer, however, with their new album ‘Sounds Good, Feels Good’ plunging from a No.1 debut to No.17. Bryan Adams’ ‘Get Up’ falls even further, however… down from No.2 to No.21. • How big is the new Adele single ‘Hello’? One only needs to look to the Billboard Hot 100 singles chart to find out. As with here in Australia – and in the UK – Adele holds Justin Bieber to a No.2 debut with ‘Sorry’, but she’s smashed a sales record; ‘Hello’ is the first song in US history to sell more than a million copies in a week. One million copies. The actual figure, in fact, was 1.11 million copies. It was light years ahead of Justin’s 277,000 copies for ‘Sorry’ at No.2. The Weeknd’s ‘The Hills’ tumbles from No.1 to No.4 and One Direction’s ‘Perfect’ is down from No.10 to No.29. • Aussie outfit 5 Seconds Of Summer make it two in a row on the Billboard 200 albums chart, debuting in the No.1 spot Stateside ahead of Carrie Underwood’s ‘Storyteller’ (No.2 on debut) and the The Weeknd’s ‘Beauty Behind The Madness’. Blake Shelton scores a No.5 debut with ‘Reloaded : 20 #1 Hits’, Pentatonix’ album slips from No.1 to No.8 and Andrea Bocelli’s ‘Cinema’ is new at No.10. The phenomenal sales success of Adele’s ‘Hello’ over on the singles chart sees her previous album ’21’ back up to No.11 and ’19’ back in the charts at No.36. • That’s your action-packed edition of The Purge for your Saturday morning. But remember that we’re here from 6pm AEDT tonight with your Chart Watch, our weekly look at the Aussie top 100 charts!